Wood, in one form or another, is what it’s all about; taking hold of this natural material, doing some ‘stuff’ with it and hopefully turning it into something worthwhile at the end. Wood, though, is tricky and unpredictable, but at the same time, probably the most attractive and compelling material that we’re fortunate enough to work with. It ranges from an almost pure white colour to the blackest of black; from balsa, which is so light it’ll float on water to lignum vitae, the world’s densest timber which will sink like a stone. Furniture makers tend to like material which is of moderate weight and which, depending on the use it’s put to, may or may not be highly ‘figured’ which is a reflection of the grain pattern and also of the cost, the most attractive boards commanding the highest prices. The figure on the boards will only be apparent once the log has been opened. In some cases, it may be plain and in others, quite spectacular. Once felled, logs are then converted into the form most appropriate for their intended use, from peeling off as a thin continuous sheet for use in plywood to sawing into huge chunks for railway sleepers. Most logs are ‘slash’ or ‘through and through’ sawn. 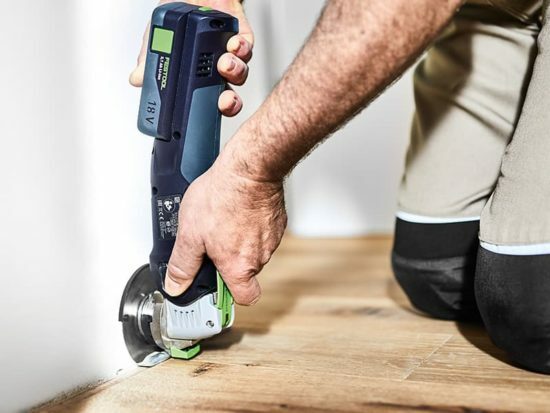 If you’ve ever seen a bacon slicer working in your local delicatessen, ‘slash’ sawing is a very similar process, except the band re-saw blade used is around 75mm wide and 8m long! Some species, particularly oak, might be ‘quarter sawn’, where the log is rotated through 90° after several passes to produce consecutive boards with a better figure. The downside is that it’s time consuming and thus more expensive. There are only two ways to do this, the first being ‘air dried’. 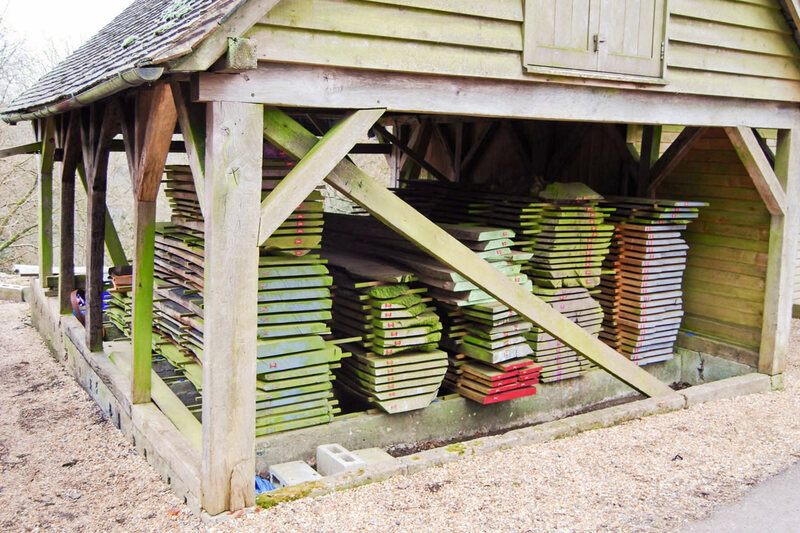 The pic above illustrates boards under cover at the Edward Barnsley Workshop near Petersfield. After sawing, they’re stacked between spacers to allow the circulation of air which evaporates the moisture, but it’s a long process as one year is needed for every 25mm of thickness. A 75mm board takes three years and after all this time, it will still only be at 20% MC. 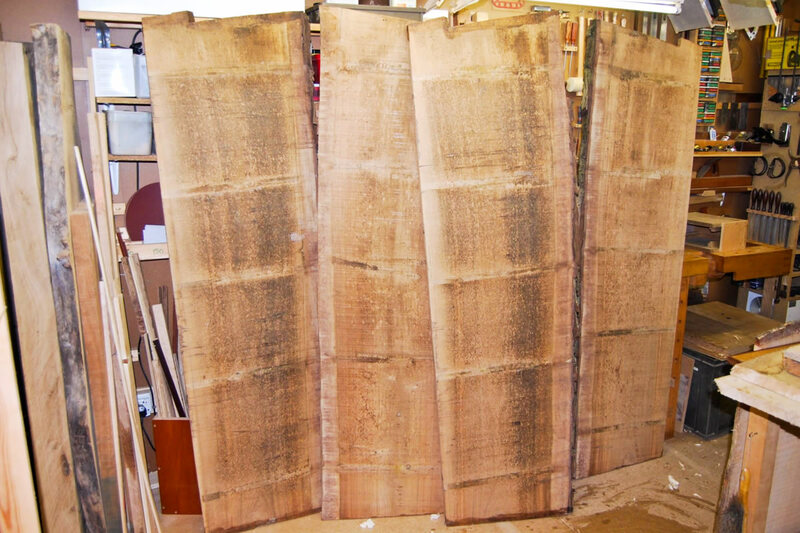 Some boards of English walnut, awaiting the right project, are reputed to have been ‘in stick’ for over a quarter of a century, but there’s no question that air drying produces the finest timber. Under a sharp blade it has the consistency of a very, very hard cheese as it will cut sweetly in any direction. This is a strange analogy, but one which is probably the most accurate. The second method is ‘kiln drying’ where a vast stack of newly felled boards is loaded into what’s basically a large, hot, steam filled pressure cooker. 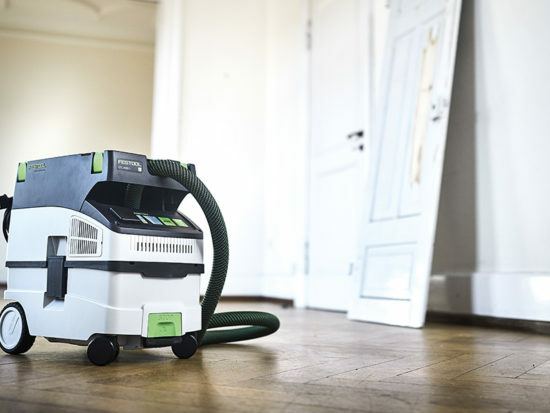 Over a period of some three weeks, the temperature and humidity are gradually reduced, bringing the MC to manageable levels. 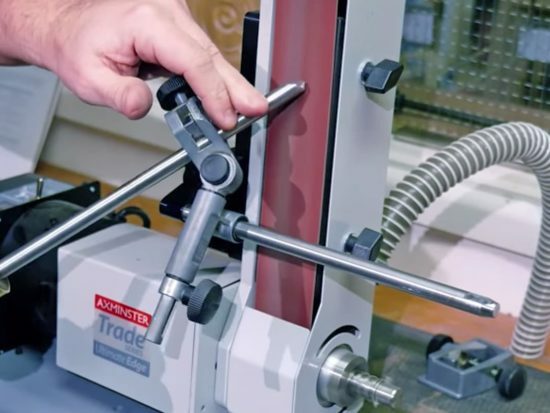 If you’re lucky, kilned timber can be reasonable to work with…but only reasonable. Unlike air dried, kilned timber feels inert and dead having had all the life sucked out of it in the oven. If you’re unlucky and start working on material that’s been badly kilned, it has a ‘carroty’, nasty, brittle feel to it and you quite often wish that a better use would be for kindling on 5th November. Whenever possible, I try and buy boards that have been air dried and am lucky that my favourite supplier stocks nothing else. Part of the latest consignment which I obtained some time ago is shown below. 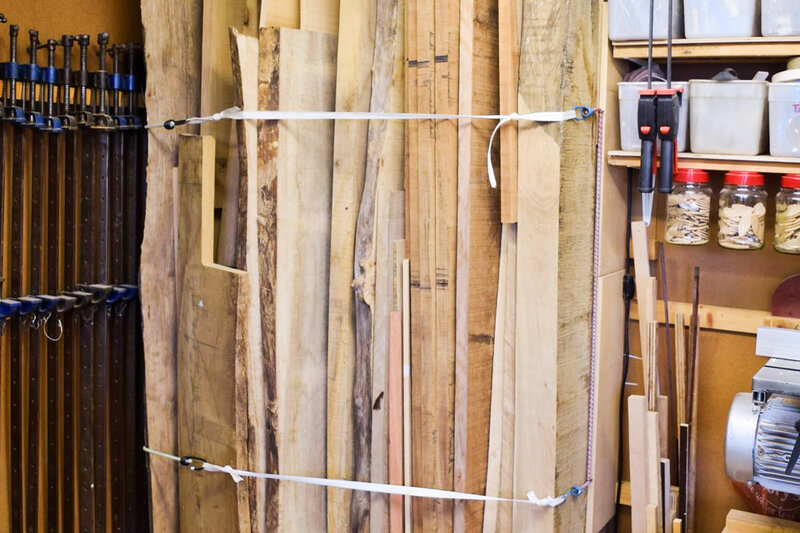 These are prime boards of straight grained English walnut, which have now been squirrelled away with all the other lumps of oak and elm and so on in my wood store which, in all honesty, isn’t quite as posh as Barnsley’s but then space in a small home workshop is a precious commodity. Having just completed one project, it’ll shortly be time to delve into this stack to sort out some material for the next and, if you stay tuned, you’ll be able to follow the process of selection and further conversion.